...If you want Japanese information of this gallery, please CHECK TIHS WEB SITE! Refer to the following, please. Please fill in those blanks and order by mail. 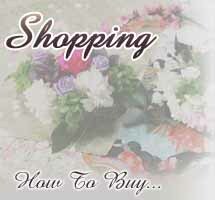 have any questions about our floral service or suggestions for this web site. We welcome your comments and questions. To Contact page. 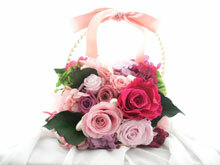 Thoughtful roses and rose essences and gifts for that special someone. We will be offering a selection of 5 different preserved rose arrangements, including those pictured below, with only 20 of each available at this time. The deadline for ordering is Nov 25, 2009. If you are interested in placing an order, Payments should be made by check only. 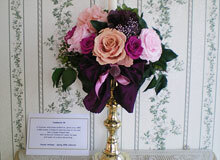 The ordered flowers will be delivered to you after Dec 5,2009, on a first come, first served basis. We will acknowledge receipt of the contact page. delivery fee to yours . for intimate dinners , sumptuous home parties or any business events. If you order pair, Please indicate two candle sticks. 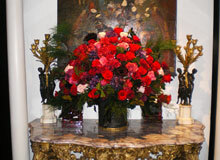 Gorgeous and sumptuous arrangement will bring elegance to your home ,entrance, office buildings or any formal event. This original design under this concept of “ wishing to preserve the blue Sky and the Earth ”is perfect for gift giving to loved ones. 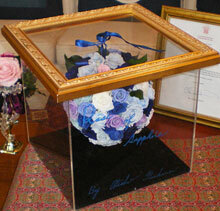 Copy rights 2006-2010 Shamayim Rose Gallery All Rights Reserved.